Social Search Engines Are Dead. Long Live Social Search Engines. In October this year, as quiet as a mouse, Facebook unveiled Search FYI, and the world seemed to hardly notice. Sadly, 2015 also saw real-time search engine Topsy close it’s doors and the world seemed to hardly notice that either. Nonetheless, for many in our industry, the news of Topsy represented a loss of a fantastic intelligence tool. However, Facebook’s latest entry into the proverbial battleground of social search engines is already able to divert our attention and already appears to be genuinely useful to search and social media marketers. What’s more SearchFYI could eventually generate the coveted “high intention therefore high CPC” search ad revenue that Google already enjoys. To create the new search platform, Facebook indexed nearly two trillion public posts (which is arguably bigger than the entire corpus of web documents), some of which are as old as the site itself (12 years, to be exact). The new feature makes it possible to browse a user’s reactions to major events and news both historically and in real-time, by keyword or by hashtag and by trending topics. All in all, I really like it. Search FYI looks a lot like Twitter Moments on the surface — yet where Twitter’s character limit generates a lot of noise and the search interface makes it difficult to source the original poster, Facebook’s search is focused on the keywords in the original share itself. This means there is a lot less wading through updates to get a quick sense of what people are saying on a topic. Additional useful features are that the trending topics module often highlights key accounts “involved in this story,” and also provides a user sentiment emoji score based on people’s reactions. How far Facebook went to execute social search brilliantly in this long awaited development indicates that it is central it is to Facebook’s long-term business model. The company has intended to develop greater search functionality for years, and CEO Mark Zuckerberg has previously called, “Facebook Search,” the third pillar of the company’s product strategy, along with the News Feed and Timeline. Now, that third pillar looks like it can bear some weight. Facebook’s very first foray into search was through a limited test and partnership with their investors, Microsoft, called, Facebook Instant Personalization. Facebook opened up all their public content to be indexed by Bing, who created a fairly interesting use case for it, as did Blekko, whom also hacked together their own tool so that you could search “liked” content in your network. Blekko’s take on the relevance of social data to search was that the act of clicking the like button was a form of content curation. Expanding on the same concept, Bing said the implication was that some of the friends or users in your network may naturally be topic experts in their own right. Thus the footnote type result could serve some purpose in certain types of searches. For instance, someone looking to buy a tropical fish tank, might unwittingly discover that a social connection in their network is an expert on this topic and has shared or recommended their own resources, previously. In a social data enabled search result, the links that they shared would surface in their search result – which could be a productive influence on your purchase decisions (and search activity). 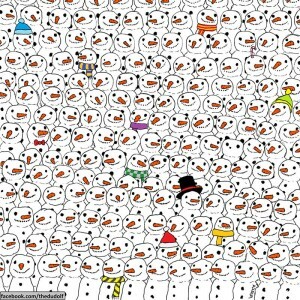 This recent craze picture, Spotting the Panda by Dudolf, is an apt analogy for the difficulty of making sense of social data. A lot of it looks the same and lacks external contextual data to differentiate each piece. That’s why even Google has yet to really crack the problem. However, as mentioned, back then there simply was not enough public data on Facebook to make a truly noticeable impact. The real source of open data was Twitter, which Wowd, OneRiot and Topsy were all focused on making sense of. In my opinion, all of these startups were doing really interesting things and saw staggering potential in what social data could do for search engines. Wowd ran full steam ahead with the amateur turned expert content curation aspect, envisioning a type of “tribal search” for like minded people. OneRiot saw the pace of social data creation and the micro (140 char) context around it as having predictive qualities – almost in a quantum capacity – such that media companies could predict which direction a story might expand into. And Topsy, my personal favorite, posited the idea that a lot of social data, while generally lacking in the types of contextual signals that would make it useful to the traditional goals of search, was actually a stunningly useful tool to get an instant read on what the public felt about a certain issue. Recalling a conversation with CTO in the early days of the company, he told me that every crawling tweets and understanding them in aggregate could give produce a kind of social weather vane on public sentiment. Brands could actually use Topsy’s gigantic historical archive to essentially straw poll what anyone ever felt about a particular moment, product launch or news event. All of these social search concepts were extremely cool – and way more interesting and useful than the concept of using social data as a ranking signal! But with Topsy’s last tweet, it looked like the industry had seen the final nail in the coffin of social search engines. Gladly, Facebook’s Search FYI (and to a much lesser degree, Twitter Moments) has stepped in to absorb the latest conceptual vacuum of what a social search engine could be. Following the gradual opening up of Facebook’s public data to Bing, we saw the early elements of Facebook’s truly proprietary search architecture in Graph Search, which allowed you to find friends of friends who live in a given area, or restaurants that other friends have visited in your city. It had its uses, but never caught on in the same way that many of the platform’s other features have. With Search FYI, Facebook has combined data from the News Feed and Timeline into a search product — a powerful result that seems primed to gain a great deal of traction. Unlike Graph Search’s targeting of fringe queries, Search FYI runs off our core uses of the social media platform. Search isn’t critical to the average user’s experience of Facebook, but it is an essential focus for revenue strategy in any mature web company. And that’s because search query-targeted ads generate much higher costs per click than social or display ads, and cost per impression rates also tend to run higher in search engines than keyword targeted ads on display networks. As users have to actively type in what they are looking for into a search box, search engines are considered to convey a high level of intention in their activities, which ultimately means more monetizable attention for advertisers. So, while Search FYI might not eat Google’s lunch, the platform can take a whole set of queries from Google (such as breaking news) to test out whether they can drive user engagement levels, and, in turn, effectively monetize a whole new segment of activity on Facebook. It’s not all peaches and cream for Facebook, however, as the company does face a small yet very real threat to its engagement strategy: the growing number of users who are abandoning the open platform in favor of messaging. But the social giant has taken notice, as evidenced by their clearly defensive acquisition of WhatsApp. Search FYI represents another response to this trend (it’s worth noting Search FYI is better in app than on desktop), as it could help Facebook retain engagement on the highly monetized news feed and provide a strong app centric alternative search experience. Nonetheless, Facebook maintains a strategic advantage in mobile search against Google in the long run, and that’s because the wider existential threat to search engines is the decline in mobile browser usage, as we now spend the majority of our time inside of apps. Facebook app usage remains dominant, giving it a huge boost and empowering the company to try to steal a share of the search market on mobile devices. Unsurprisingly, Google’s big investors are putting the pressure on to prove greater success in mobile search. The overall decline in mobile browser usage poses some serious problems for Google, with most intentions these days being fulfilled over a series of different apps. For instance, a trip to the movies now typically involves searching for a nearby cinema on Google Maps, buying tickets through Fandango, and hailing a taxi via Uber. How did we get here? Well, our “there’s an app for that” mindset has actually fragmented most customers’ purchase funnel, as we’re now forced to jump from app to app to reach our destination. In fact, Google has gone so far as to say that the purchase funnel is dead! In the meantime, both Google and Apple are hard at work on app indexing, with Google recently announcing that they can now crawl 100 billion in-app pages. However, Facebook’s ad platform currently has excellent tools for driving app downloads and with inevitable standardization around the ability to link between apps (AKA inter-app linking), the social network is poised to be a key player in app connected marketing. As a result, Facebook could run away with the inter-app search market! And that’s a big deal. We’ll definitely see some kind of SEO activity emerge around Search FYI. Obviously we can’t speculate on how people will try to “game the system” or reverse engineer the algorithm — we’re just seeing it recently for the first time. Twitter also announced an advertising product for Twitter Moments, called Twitter Promoted Moments, which comes in at a the price tag of a cool million per day, in US dollars. And their current Promoted Trends service currently costs and estimated $200k per day, so it’s also not hard to see where whose lunch Facebook has been eyeing up. If all goes according to plan, Search FYI will become an important tool for to reach audiences through social trends and reactions to breaking news for the largest and most engaged user base on the planet — in other words, Stocky’s confidence is as understated his product launch. Exactly in the spirit of what the phrase, “The King is Dead, Long Live the King,” really means, there almost can never be a time that social search engines don’t exist – regardless of whether they are incredibly successful or not. Much of the desire to write this post stems from the desire to honor the technology experiments on social data, and brains behind them, of yesteryear. From Bing and Blekko, OneRiot and Topsy, and even Technorati from a decade before, the use cases that each company articulated about social search were extremely strong and have all been necessary experiments. 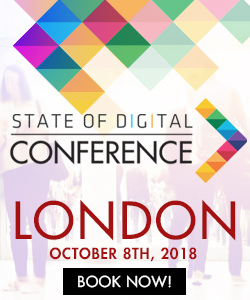 The lack of adoption is symptomatic of a prevailing market complexity in what can be done with social data and an inherent knowledge gap among those people who might be able to use social data to great effect. Even apparently obvious uses of social data, such as calculating influence have ultimately stuttered in recent times. I would argue that mass adoption of social search is partly at odds with what makes social media and social marketing work brilliantly anyway. As I have said previously on State Of Digital, one to one engagement and listening on social media is often the most powerful approach. With that in mind, I do feel that Facebook Search FYI really is the rightful heir to the social search engine throne. It’s a shame to see Topsy go this year, but the homework below will hopefully help preserve the ghost of what was lost in 2016. Do these results help to understand what people think about the topic? Do these results provide indicators as to how people feel about the topic? Do these results provide a plethora of sources on the topic? Are they balanced? Do these results show there is a crowd who agrees or disagrees? Do these results help me predict the future direction that a conversation may take? 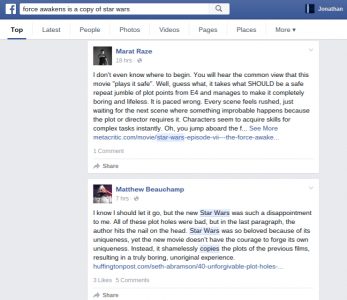 Here’s an example of it in action: By searching “force awakens is a copy of star wars” on Facebook, I get this result. Even from these two results in the screenshot, the results enable me to make all of the assessments below. Validate that some people do agree with the statement (a la Topsy social weather vane). The short answer is yes. Predict what new topics may emerge from this conversation (a la OneRiot). In this case, points of further discussion are repeated and provide content development opportunities such as: Playing Safe Vs Being Daring, Plot Pacing, Character Development, Plot Probability Vs Deus Ex Machina, Episode 7: The Clone Awakens. Curate a mix of shared links on the topic (a la Bing & Blekko). In this case, Huffington Post and Metacritic. Find a vocal crowd who agree with the statement (a la Wowd). This was one of many results. So, there you have it. Long live the true and continuing value of social search engines. 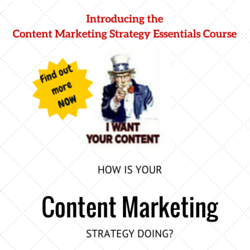 Great as market research tools rather than as ranking and ordering systems. Hope this post inspires you with possibilities for in 2016!